Strap in, folks! It’s time for a writing update. Why do writers write? Better yet, why do aspiring writers fail to write? And if you really want to push the barrier, why is it that so many people think writing a book is a simple endeavor, something they might do someday if they ever feel like wasting a massive chunk of time? Oh, hell. Let’s just get it out there! What ever possessed me with this idea that I wanted to be a writer? I’m a failure. A flop. A complete and utter wannabe. Except, I guess I’m not. This update actually started out as post on a private Facebook group I started for other writers, but the more I wrote the more I realized that it was much better suited for a blog post. I started writing this post prior to leaving for two weeks on a vacation with little Internet connectivity, but I wasn’t able to finish it before we set out, so it’s a little late. Sorry about that. My word count hasn’t done a whole lot lately. I’ve been getting caught up in my editing process, and I think I’m finally ready to admit that my idea for this book was far more complex than it needed to be. You see, my original plan was to write a short story. I wrote it and published it on Amazon. Then I got the “brilliant” idea to turn it into a novel. That flopped when I realized how different the two forms are, especially when you have to leave some holes in the story for the twist at the end to work in the shorter format. For me, short stories are about brevity and impact, but when you move to a novel that punch begins to raise questions that interrupt the longer narrative. Individual motivations become a much bigger concern; at least, they did in my story. The next evolution was to expand the short story into a novelette. What started as ~6.5K words turned into about 15k. The plan was to publish it separately and then include it as Part 1 of Book 1 when I published the cumulative work. Again, I published the changes to Amazon. I thought it was an improvement, but it was still too hard to pick up the rest of the story from what I had. Still too punchy. Still too many holes. The nature of the story made it so you had to wait until the whole novelette was over before you could get invested in one of the main characters. Since she’s so central to the plot, that just wouldn’t do. The novelette is now in the novella range, sitting at around 30K words. It’s still not quite there. The primary thread is looking a lot better. Just last night I went on a mission to find and eliminate over 20 instances of ‘really’ and it showed me how silly some of my dialogue was; not on its own, but some bits were very repetitive throughout. That’s an easy fix with a bit of polish. But my secondary MC still needs to be strengthened. The second thread in the novella is from the point of view of the primary MC. I considered changing the POV, but if I do that, I’m afraid I’ll lose some of the initial spark of the story. I think I need to add more of MC 1’s observations, slow it down a little so it isn’t just drama. This will show the reader why he cares about her so much, and that will expose more about who she is. This is something I’m still struggling with. I printed out all of the secondary thread chapters this afternoon. I hope to dive into them this weekend. I’ve certainly learned a lot about myself as a writer these past few years. I was beginning to build parts of the e-book just before I left for vacation and it hit me. I can’t publish this the way I’d planned. See, the idea was to publish Distant Worlds as a standalone novella, then include it as Part 1 of the first book in the Chlorophyllium Collection series. I guess I could still do it, but sticking to my guns on this would have a cost. Invariably, a whole section of potential readers would feel incensed by the idea of purchasing the same novella twice. I’ve been playing around with pricing structures and trying to figure out a way to make it work. 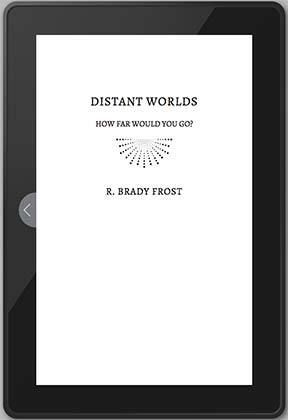 Distant Worlds could have been $0.99 and then Final Hope (which would’ve included Distant Worlds) would’ve been something like $2.99, while the rest of the series might be $3.99 or $4.99… but it just doesn’t matter. With Kindle Unlimited, where authors are paid by page reads, there will always be the impression that I’m trying to game the system. Something that would have likely been inconsequential when Distant Worlds was much shorter becomes a much bigger deal to some readers, but probably a lot more to other writers who earn money out of the pool based on their page reads as well. While gaming the system was never my intention, the perception is certainly there and that’s something I certainly want to avoid. Well, I don’t want to give away any spoilers, so I’ll have to be careful what I say. The idea for Final Hope was to pick up the secondary MC’s thread and alternate it with a mid-point in Distant World’s story line, weaving the two together to reveal even more about what happened aboard Final Hope and how it impacts the rest of the world. If I make these two parts separate books, I can’t weave the two story threads like I’d planned. The responsible thing, given that not everyone reads books in order, or sometimes it can be months or years for readers between books, would be to set up Final Hope so it isn’t so confusing if you haven’t started fresh on the heels of Distant Worlds. That means the chapter order has to change. [Deep Breath.] It’s okay, I can do that. While working on finalizing the cover art for the novella, I started to wonder if maybe I should swap the names of the novella and the novel. I know, right? Am I overthinking all of this? Maybe, but when you’re planning a series, the little things do tend to matter. And at least I’m not facing that sort of question after hitting the publish button. I hope I’ve learned that lesson enough this far into my writing career. 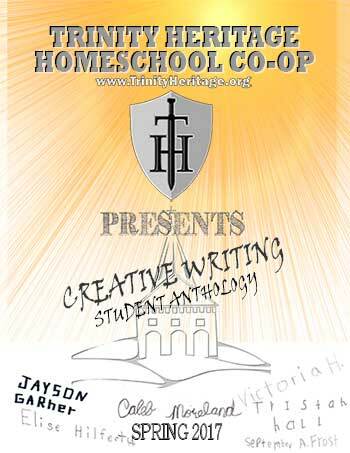 I taught my first Creative Writing course this semester at our homeschool co-op. It was such a great experience. Honestly, I learned so much from the kids in my class. Each student brought their own unique talents and expectations. Some had to face their doubts and insecurities, while others seemed to have a never-ending supply of passion. What surprised me the most came when I was running through a back-to-back edit, putting the stories together to create the student anthology. Despite being so young, these kids wrote some amazing stories. Each one had an emotional impact and struck different chords all along the spectrum. Was the prose perfect? No, but that wasn’t as important as the storytelling. I mean, I didn’t actually have to edit that much, and the stories worked. I guess the biggest thing for me going into the class was confronting my earliest writing fears. I wanted these kids to be brave, and they were. Oh, were they ever brave. You see, it’s the little things that stop me from writing the most. The tiniest insecurities halt everything. So, we attacked those things. We examined them and then we stole their power. Don’t know how to spell a word? Don’t worry about it. Get as close as you can, and we’ll figure it out when it comes time to edit. Don’t know how to punctuate dialogue? Don’t worry about it. Get as close as you can, and we’ll fix it in the edit. And on and on we went. We just got back from our trip and Distant Worlds and Final Hope got a bit of a breather. I think I’m going to move forward with the title swap. The novella focuses on the events aboard Final Hope, so using the ship name as the title makes sense. The novel actually starts on Earth and moves us forward, through the events of the novella and to its conclusion. Since the fate of two worlds seem to hang in the balance for that story arch, Distant Worlds seems to fit. Aside from minor changes, it won’t take much work to make the swap. Of course, with summer there will always be projects around the house to complete and activities for the kids. I’ll try to do better about sharing more here on my blog. Maybe I’ll try to make it a goal to post some flash fiction pieces regularly. We’ll see how things go. Thank you for taking the time to stop by. I’d love to hear what content you enjoy reading the most here on my blog. If you have a moment, please leave a comment below.